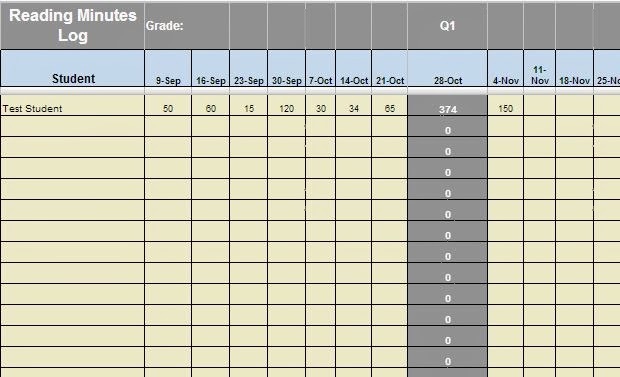 If your classroom is in need of tracking student reading minutes for the week, quarter, and school year. Try out this Google Spreadsheet template. Enter the minutes individually or share the spreadsheet with your students to enter for themselves. Share your weekly, quarterly, yearly totals with your class, school, and parents easily with Google Spreadsheets. Done! Have a ready made template for the school year.